We just wrapped up Memorial Day weekend which means the time for beach trips and weekends spent at the pool has begun. But for women living with an ostomy, finding something you are comfortable in wearing at the pool can seem like a really hard task. In this video, I go through the options I have found for ostomates and share some of my experiences with each one. And below the video, you can see some pictures of the ostomy swimwear for women options I have found! Here are pictures of each look, plus another one that I found since I uploaded this video! 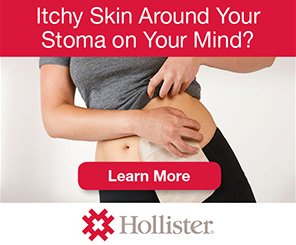 This entry was posted in Ostomy, Out of the Bag, Stolen Colon and tagged bathing suit, beach, colon bag, fashion, ibd blog, ileostomy, ileostomy bag, ileostomy blog, life, ostomy bag, ostomy blog, pool, swim, swimsuit, swimwear on May 27, 2014 by Stephanie Hughes.